It is pronounced "iPhone 10"
During its first-ever event at the Steve Jobs Theater in Cupertino, Apple unveiled today their latest smartphone officially known as iPhone X (pronounced iPhone 10). The handset, which will share retail space alongside the new iPhone 8 and iPhone 8 Plus, is the most expensive Apple mobile device ever created. It starts with the display – a 5.8-inch, OLED Super Retina Display sporting a resolution of 2,436 x 1,125 pixels (458 pixels per inch). Available in space grey and silver, it features the same glass front and rear coating as found on the other new iPhones and is brought together by a polished stainless steel band around the edges. 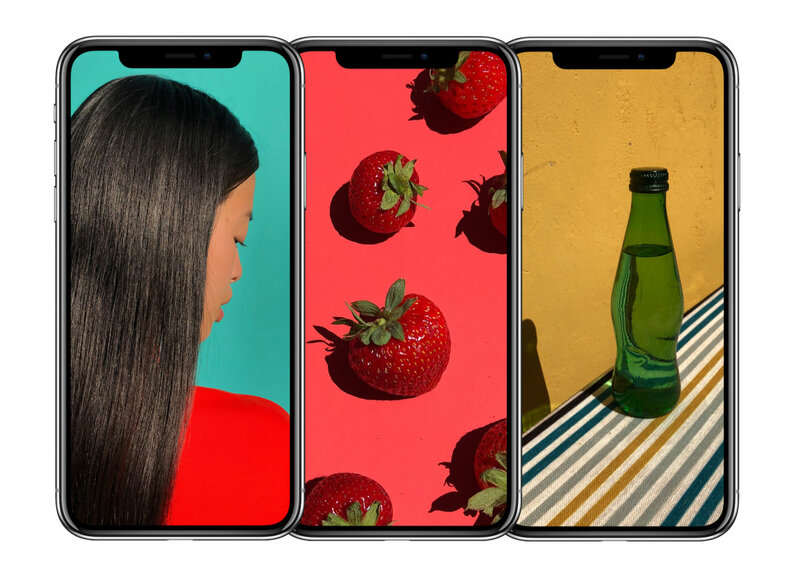 Although it does have a larger display, the iPhone X is significantly smaller than the iPhone 7 / 8 Plus -- and barely larger than the standard iPhone 7 / 8 -- a comparison photo can be seen further down below on this story. The iPhone X measures 5.65 inches x 2.79 inches x 0.30 inches and weighs 174 grams, or 6.14 ounces (versus 202 grams / 7.13 ounces on the 8 Plus). The iPhone X extends the display to the far edges of the device, eliminating the traditional Home button. In its place, Apple is using a handful of tricks and gimmicks like Face ID. As the name suggests, Face ID uses facial recognition technology for authentication purposes. It replaces Touch ID, the venerable fingerprint reader Apple introduced on the iPhone 5S, and is said to be far more secure. According to Apple, there is a one in 50,000 chance that someone can unlock your Touch ID-protected device but only a one in a million chance of doing so with Face ID. Interestingly enough, Apple mentioned that it might be a good idea to use a passcode if you have a sibling with a similar genetic make-up (a twin). Face ID uses Apple’s new TrueDepth camera system and a neural engine to work its magic. Apple says it can adapt to face changes over time (if you grow a beard, for example), works day and night (low-light environments) and is difficult to spoof. As you’d expect, it’s also compatible with third-party apps like 1Password, Mint and E*Trade with many more to come. One of the advantages of Apple's ecosystem and its strong developer support. Notably, Craig Federighi’s first attempt to use Face ID in the live demo failed. Ouch. In the absence of the Home button, an iPhone X user simply needs to swipe up from the bottom of the screen within any app to get back “home.” Similarly, one can swipe up and pause mid-swipe to access the multi-tasking menu and swipe down from the status bar area (top-right of the screen) to access the control center. To activate Siri, simply speak to the device as you normally would or press and hold a button on the side of the phone. Elsewhere, the iPhone X shares much of the same specifications as the iPhone 8 series. It’s powered by the same Apple A11 Bionic processor, is dust and water resistant, utilizes Qi wireless charging technology, and offers dual 12-megapixel rear-facing cameras (f/1.8 aperture wide-angle and f/2.4 aperture telephoto, both with image stabilization). The rear camera can record 4K video at up to 60 fps or 1080p slow-motion video at up to 240 fps. The front-facing camera, now called the TrueDepth camera, is a 7-megapixel shooter that supports both Portrait mode and the new Portrait Lighting (beta) feature as well as Apple’s Animojis. With Animojis (animated emojis), users can tap into the TrueDepth camera to analyze more than 50 different muscle movements and mirror those into one of 12 different emoji in real-time. Emojis aren’t really my thing but this feature did seem to work seamlessly during the demo and will likely find a huge following. Given its larger screen and newfound facial recognition features, one would expect the iPhone X to be a bit more power hungry than its predecessors (and it is). Fortunately, this shouldn’t be an issue as Apple says the device lasts up to two hours longer than the iPhone 7 with up to 12 hours of Internet use, 13 hours of video playback, 21 hours of talk time and 60 hours of audio playback on a single charge. It’s also fast-charge capable and can receive a 50 percent charge in just 30 minutes. The iPhone X will be offered in capacities of 64GB and 256GB (no 512GB model yet as per rumors) at a starting price of $999. Pre-orders open October 27 with the first shipments scheduled to arrive on November 3.